When artist Gerhardt Gallagher came across a series of etchings by his German grandmother Margarethe, it launched a sequence of events, which led to an exhibition and then this book. Magarethe's artistic career had been severely disrupted by two wars and Gerhardt conceived a project, which would allow Margarethe's works to be exhibited in Ireland along with his own. Gisela Holfter of the Centre for Irish-German Studies in the University of Limerick, when approached, supported the project enthusiastically and when Micheal O'Haodha of the Glucksman Library saw the works hanging there he thought them worthy of publication. 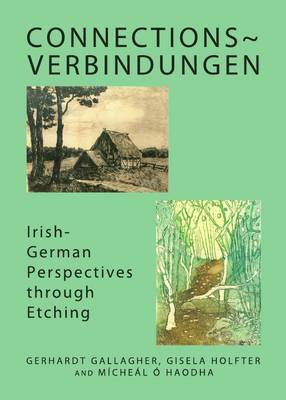 Together they created this volume connecting Irish and German cultures through the work of two artists, a family history and the artistic links between both countries.